This Year’s Meteor Showers Will Be Spectacular. Here’s How to See All of Them at Peak. Last year was a banner year for stargazing. Between the total solar eclipse and some excellent meteor showers, there were many reasons to look up. There's no solar eclipse this year, but there are still plenty of dazzling stellar displays to get excited about. Bill Cooke, who leads NASA's Meteoroid Environment Office, helped pinpoint the meteor showers that are worth getting excited about this year. 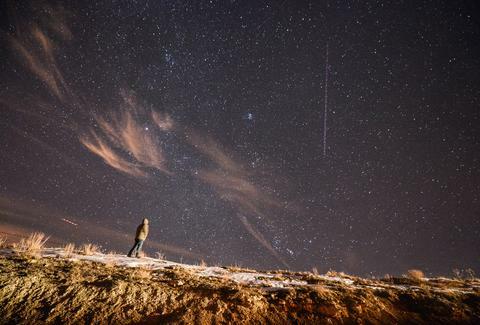 To watch any of these meteor showers, you need to get far from the city. Find an open area where you can see to the horizon and, most importantly, where the sky is dark. 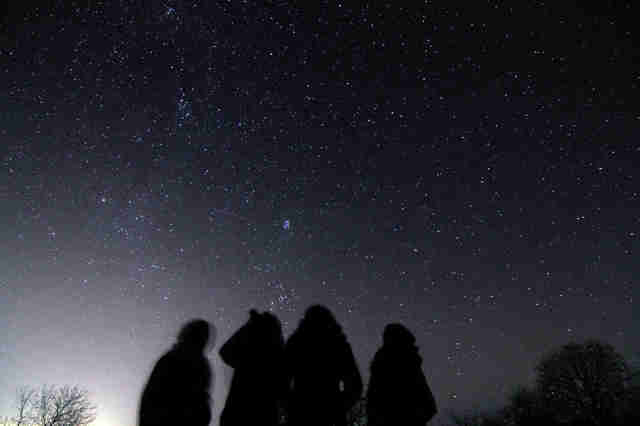 The Dark Sky Finder app is a useful tool to help you find a spot to set up shop. It's also recommended you give yourself about 30 minutes for your eyes to adjust to the darkness. Then the show will appear at its most brilliant. Unfortunately, you'll have to wait until April 22 for the first peak night following the Quadrantids in early January. Until then, you can plan for a blue moon total lunar eclipse, which will take place on January 31. The Lyrids come from the Comet Thatcher, which makes a trip around our sun once every 415 years. It won't be back until 2276, but you can get a glimpse of its detritus when you look up at the Lyrids, which produce between 10 and 15 meteors per hour, according to Cooke. The Lyrids tend to lack persistent trains but occasionally produce fireballs, which are basically exceptionally bright meteors. Despite the low rate, a first quarter moon will make for solid viewing conditions after midnight. The Eta Aquariids is one of two meteor showers that stems from Halley's Comet. The Eta Aquariids are best viewed from the southern hemisphere. 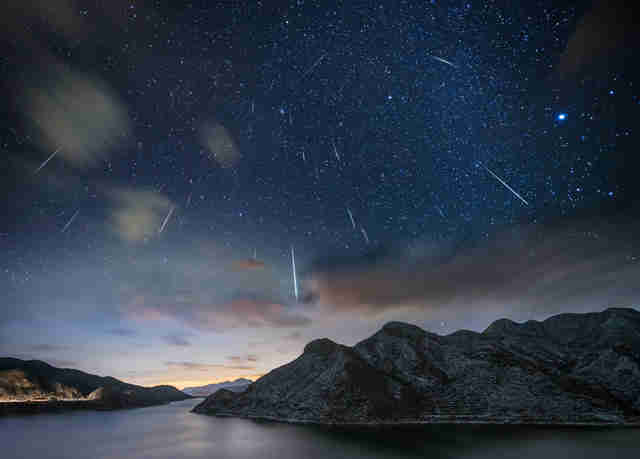 In the northern hemisphere, expect around 25 meteors per hour before dawn. Unfortunately, this year, we'll be just past a full moon, which will greatly reduce the number of visible meteors. The Southern Delta Aquariids are similar to the Eta Aquariids in that they're best seen from the southern hemisphere. While its host comet, Comet 96P Machholz, comes around with relative frequency, Cooke says we could "maybe" see 20 meteors per hour at its peak, which is usually around 2am local time. Many of those meteors may be washed out by a moon that's just past full. The Perseids are, in a year with no outbursts, the most active meteor shower that doesn't take place in December. 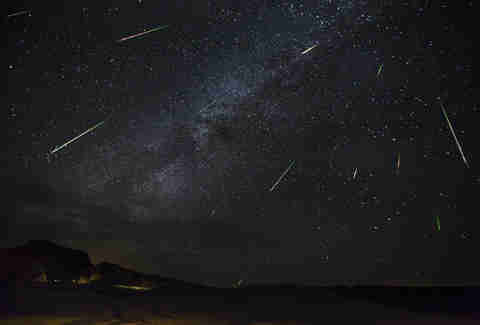 The Perseids often produce more than 100 meteors per hour. This year, look for something a little closer to a meteor per minute. 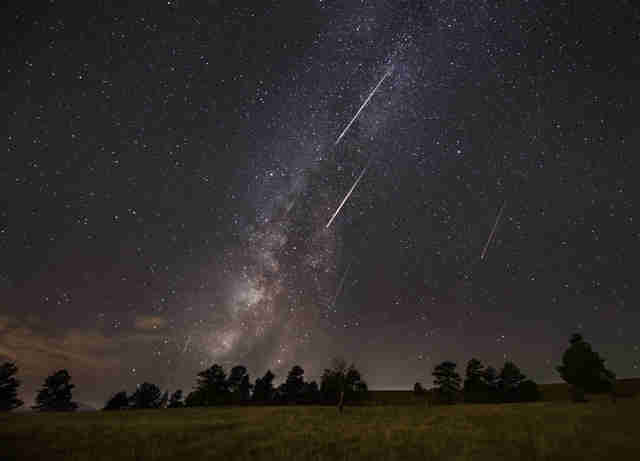 A mid-August meteor shower with tons of meteors streaking over your head? That sounds pretty damn perfect. The Orionids is the second shower showcasing the refuse of Halley's Comet. There's a waxing gibbous moon, but Cooke notes that shouldn't be a problem if you go out just before dawn, which is a great time to catch the Orionids. The shower is expected to produce between 20 and 30 meteors per hour. The Leonids vacillate from being a standard meteor shower to the most dazzling storm you'll ever see. When it was first spotted in an outburst year, people thought the world was ending. In those situations, it can produce more than 1,000 meteors per hour. However, that hasn't happened since 2002 and is expected to again until 2032, according to Cooke. 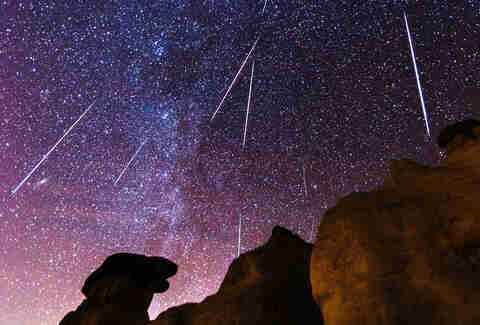 When the shower isn't in an outburst year, a more moderate 10 to 20 meteors per hour is likely. Unfortunately, the Leonids land near a full moon this year and will be largely washed out by the moonlight. 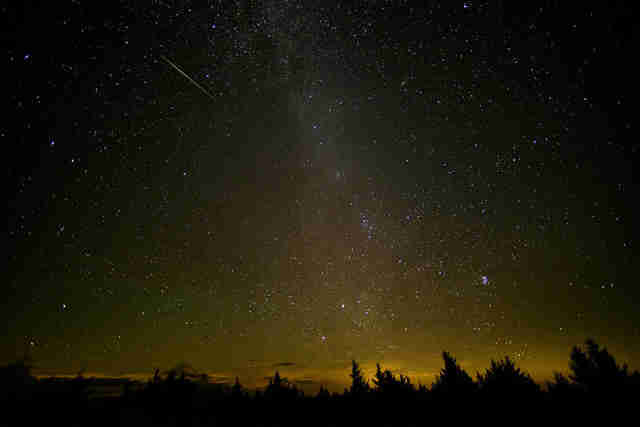 The Geminids will be the best show of the year in terms of how many meteors per hour will appear at its peak. Projections range from 120 to 160 meteors per hour and the moon will be working with you if you stay up late to watch it. The Perseids have much better weather and a broad peak, but the Geminids are the main event. The Ursids are often called the Cursed Ursids since they come just before Christmas and near the winter solstice. This year they are truly are cursed. Cooke says the Ursids "may outburst," producing between 30 and 40 meteors per hour. But the Ursids are not bright and they'll fall on the night of a full moon. All dates are for viewers in the northern hemisphere.